Oil on canvas, 56 x 54 inches. Black Bowl Red Scarf, 2007. Blue Decanter, Polka-Dot Bowl, Suzani, 2009. Oil on canvas, 48 x 70 inches. Oil on canvas, 36 x 60 inches. Oil on canvas, 42 x 75 inches. Oil on canvas, 50 x 50 inches. Oil on canvas, 60 x 70 inches. Green Bowl, Blue Mirror and Tulips, 2001. Oil on canvas, 42 x 60 inches. Oil on canvas, 50 x 80 inches. 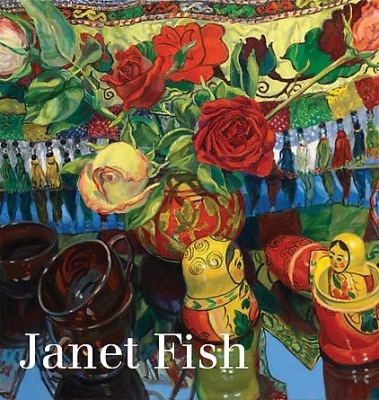 DC Moore Gallery is pleased to present Janet Fish’s most recent work. Drawing from the tradition of still life painting, Fish defies its connotations by engaging primarily with the movement of paint. Her paintings radiate with bold color and light, and her gestural brushstrokes guide the eye through transparent surfaces and across intricate patterns in paint. A catalogue with an essay by Lilly Wei will be available. Fish attributes her fascination with light and color to her childhood spent in Bermuda. Her grandfather was the American Impressionist painter Clark Voorhees, and her mother was a sculptor. Fish attended Smith College and earned her Master’s Degree in Fine Art from Yale University in 1963, when art school faculties taught Abstract Expressionism. Fish notes that she absorbed those artists’ interest in gesture and matters of form, but she independently gravitated toward figuration. Fish lives in New York City and Vermont. Works by Janet Fish are included in the permanent collections of The Metropolitan Museum of Art, New York; Whitney Museum of American Art, New York; Museum of Fine Arts, Boston; the Art Institute of Chicago, IL; Pennsylvania Academy of the Fine Arts, Philadelphia; Detroit Institute of Arts, MI; Dallas Museum of Fine Arts, TX; Yale University Art Gallery, New Haven, CT; and American Academy and Institute of Arts and Letters, New York, among others. Harry N. Abrams published a monograph of Fish’s work by poet and critic Vincent Katz in 2002. DC Moore Gallery is the exclusive representative of Janet Fish.